when conducting the launch of a guided missile. [Today,] June 30, North Korea's Central News Agency reported that North Korea's supreme leader Kim Jong Un guided North Korea's people's army in their tactical training when conducting the launch of a guided missile. 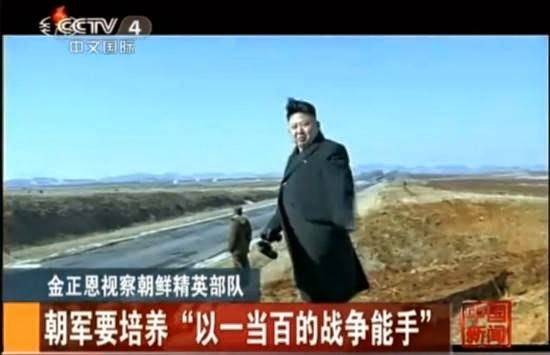 The report is saying the launched [missile] used scientific computing during the whole journey. On its flight trajectory as well as in the targeted waters, security checks were carried out. On [June] 29, South Korea's defence ministry said that North Korea on that day, before dawn, had launched two guided short-range missiles from the neighbourhood of Wonsan in Kangweon [province] towards the peninsula's eastern sea area [i.e. towards the Japanese Sea]. Presidents of China and South Korea. China's president Xi JinPing has arrived in South Korea for a two-day visit set to focus on North Korea. It is the first time a Chinese leader has visited Seoul before Pyongyang, and comes amid cooler China - North Korea ties. China is North Korea's biggest trading ally and the nation most able to wield influence over it. 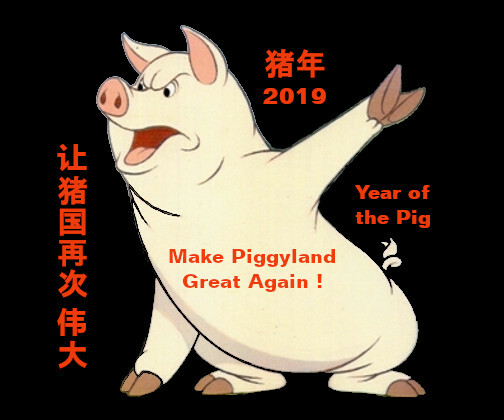 But in recent months Beijing has appeared increasingly frustrated with its unreliable neighbour. Last year, North Korea carried out its third nuclear test and there are reports that it could be planning a fourth. U.S. media: Towns are falling and al-Maliki is under stress. U.S. media [recently] began to fear a deterioration of the Iraqi crisis and some of them even mentioned towns " that were hinting at [former] U.S. victories " [and are now] falling into the hands of armed militants, and [they mentioned] that Iraq's prime-minister Nuri al-Maliki lives under condition of stress while armed militants advance towards Baghdad. 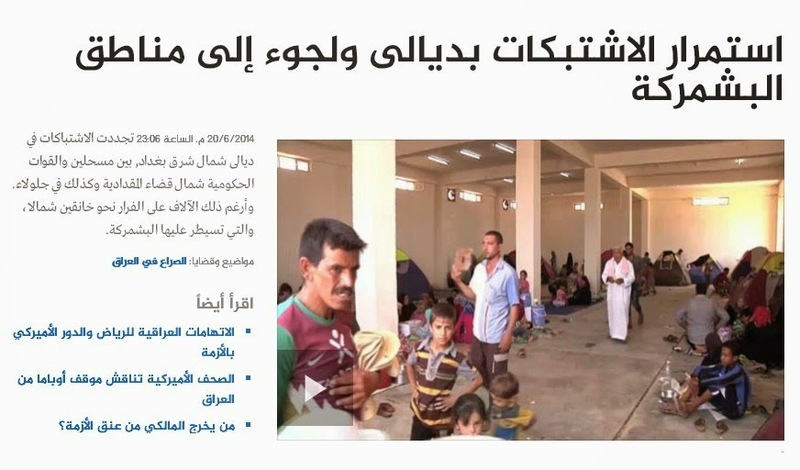 Renewed shelling of Baiji and collective emigration in northern Iraq. Daesh [i.e. 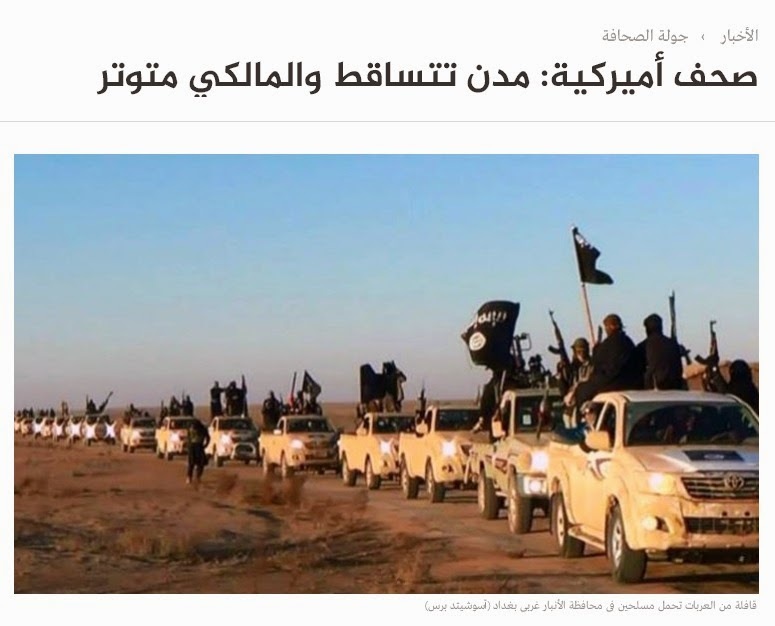 ISIS] " moves U.S. military vehicles from Iraq to Syria ". 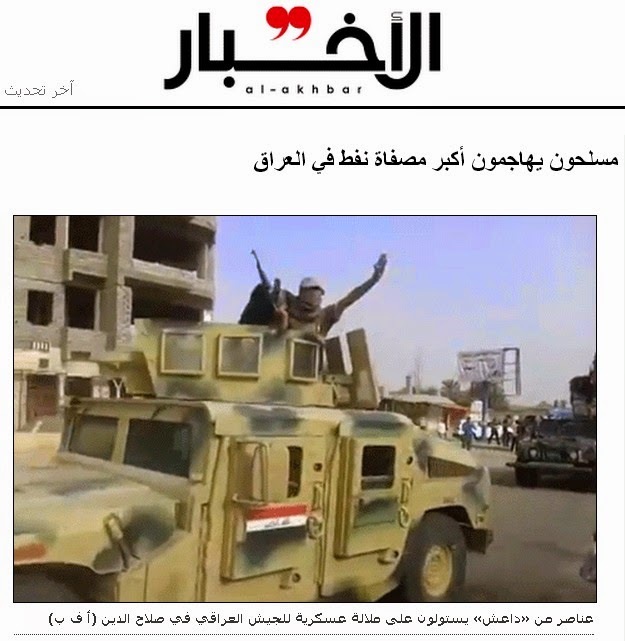 On Sunday, U.S. military vehicles, "Humve" brand, appeared for the first time with "Daesh" organization. In the [rural district] of Aleppo was the place where these vehicles finally [landed], confiscated from the Iraqi army and moved into Syria by [Daesh / ISIS] organization according to the Syrian Observatory for Human Rights. From his modest office in the shrine city of Najaf, Iraq’s highest religious authority, Grand Ayatollah Ali al-Sistani, leader of the country’s Shiite establishment, issued a call to arms asking his followers to join with the government military to stop the blitzkrieg by the [Sunni dominated] Islamic State in Iraq and Syria [ISIS]. But one cleric, Moktada al-Sadr, who led a militia that fought the government and lost in 2008, decided instead that he too would challenge the state. Mr. Sadr revived his Mahdi Army, possibly one of the largest and most experienced battle groups in Iraq, and announced that under no circumstances would it be under the control of the government. His open challenge to Iraq’s Shiite establishment lays bare the latest in a series of cracks that are dividing the country’s three main ethnic groups, the Shiites, Sunnis and Kurds, as the Iraqi state comes unraveled. But as Mr. Sadr’s actions show, the fault lines are not strictly between religious and ethnic groups, but also within each group, a fracturing that could lead Iraq to even greater chaos and uncertainty. before the [beginning of the] parliamentary session. 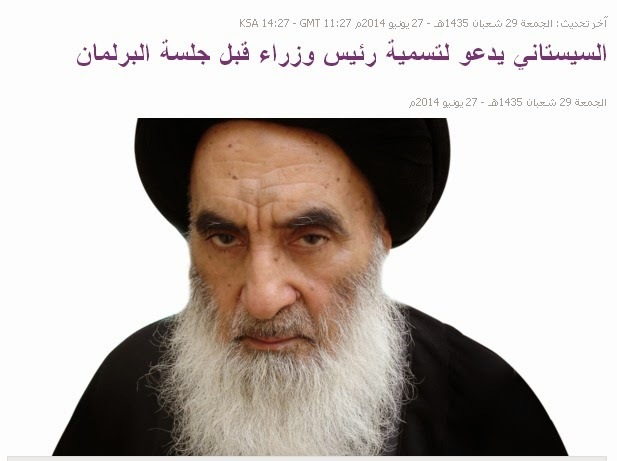 Today, Friday [June 27], Master Ali al-Sistani, the religious authority of Iraq, warned of scheming plannings for Iraq's disintegration, pleading the political factions to seek agreement with the three leaders (i.e. the president of the republic, the prime-minister, and the president of parliament) before the bginning of the third parliamentary session. Barsani: Kurdish control over Kirkuk and other regions [regarded as] "definitive". On Friday [June 27] the president of Iraq's Kurdish territory, Masoud Barsani, confirmed that Baghdad's rivalry of Kurdish control over Kirkuk and other regions can be considered [after final decision on the basis of] article 140 of the constitution, particularly with regard to these regions, as " not longer existing ". How will al-Maliki arouse Baghdad within its zone ? Border of the Baghdad belt; the central part showing the capital. More [and more] of the daily incidents in Iraq [are happening] today in the "Baghdad belt". And this is an ultimate provocation for the authority of al-Maliki's [military] in its determination to face the rapid dynamics which guided the insurgents and "Daesh" organization [i.e. ISIS] in five provinces [representing] one quarter of the country's territory. The article is referring to the difficulties waiting for prime-minister al-Maliki to organize a military response to ISIS activities in the "Baghdad belt" and to arouse its inhabitants in a fight for the current political system and the national integrity of Iraq. The [region] of al-Mahmudia, south of Baghdad, includes the town [of al-Mahmudia] and neighbouring villages. It is inhabited by some half million people and had been the entrance of U.S. troops into the [Iraqi] capital on April 4, 2003, only five days before the fall of the capital. The [region] of Abu Ghraib, west of Baghdad, includes the town [of Abu Ghraib] and neighbouring villages, the international airport and the famous Iraqi prison. It is inhabitated by 750.000 people. The prison of Abu Ghraib became notorious at its time as a synonym for cruel treatment of political prisoners under U.S. rule. With the exception of al-Madain (100.000 inhabitants south-east of Baghdad), the remaining regions comprise a population between half a million or one million inhabitants each. The region of Taji, north of Baghdad, should house a big garrison of government troops. 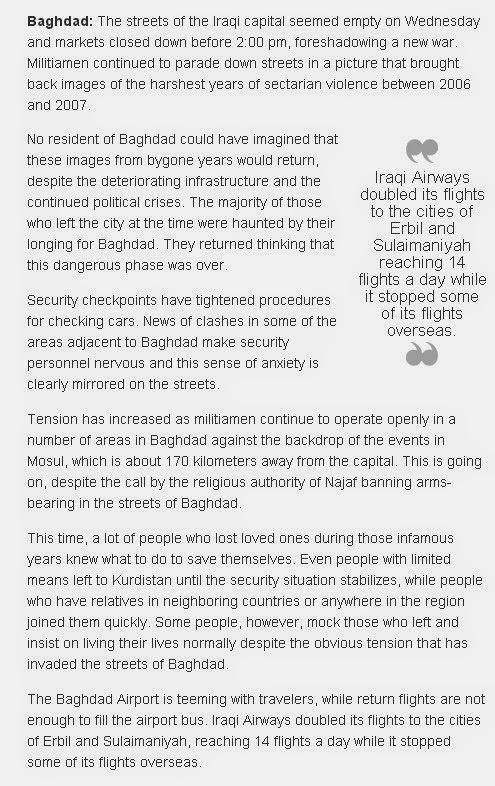 From the very beginning of the uprising in Mosul, its rushing to the neighbouring towns and down [i.e. southwards] to Baghdad , al-Maliki's army tried hard to fortify the capital during its [encirclement], then surely deployed an enormous military force, [supported by] the ninth armoured division and the motorized armoured brigade in the federal police who added to the elite troops. The unexpected progress of militant Sunnis in Iraq is worrying Shiites in the Islamic Republic of Iran as well. As a result, Iran and the U.S. are now holding informal contacts on that matter. It had already been established that the particle discovered in 2012 matched the Higgs Boson with respect to its mass, its lack of spin, and its rapid decay into pairs of photons. However, one key attribute remained unconfirmed: whether it gave mass to fermions, a group of particles that includes quarks and leptons. Editor's Note: Leptons are particles like electrons and positrons that are known to possess very little mass. Analyzing data from the Large Hadron Collider, MIT physics professor Marcus Klute and a team of colleagues confirmed with a strong degree of confidence that the 2012 particle meets the final criteria. "We made this big discovery back in 2012 - we confirmed the particle, its [lack of] spin, everything was consistent," says Klute. "What was missing were the fermions." But they are missing no more, thanks to the work of his team. "Our findings confirm the presence of the Standard Model Boson," Klute says. "Establishing a property of the Standard Model is big news itself." The Higgs Boson was first theorized in 1964, and its monumental discovery was announced at CERN in 2012. The importance of the Higgs Boson to our understanding of particle physics is so great that it launched a 40 year search to prove its existence, which culminated in the construction of the LHC, the world's largest particle accelerator. Mainstream media refer to the boson as the "God particle," a name disliked by many physicists, including Higgs himself. It should be noted that a scientific report had already been submitted on February 25 and was finally published two days ago on June 22, 2014. For those practically engaged in particle physics, the quoted results should therefore not come as a total surprise. 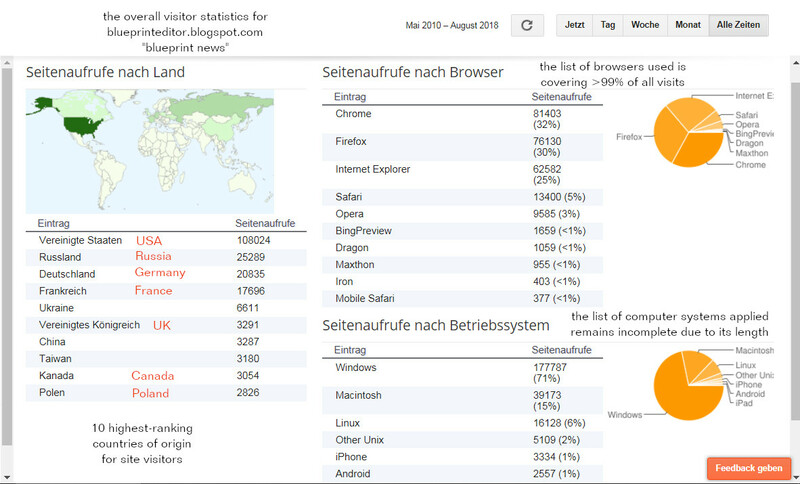 However, many enthusiasts all over the world are still eager to learn more about it. Armed militants attack major oil refinery in Iraq. Iraq's [government] forces [in the sign of] religion. This morning, a series of assaults [has been launched] by militants [on] the refinery of Baiji, the biggest of Iraq's oil refineries and which is situated in the north of the country where heated fighting is taking place with special forces [deployed] for its protection according to [somebody] from the refinery. [That questioned person] said " all militants [came over them] at four o'clock this morning with an [invasion] sufficient for the refinery in Baiji. After that being accomplished, [there were] fightings and an outbreak of fire in certain reservoirs intended for the storage of petrol waste. " 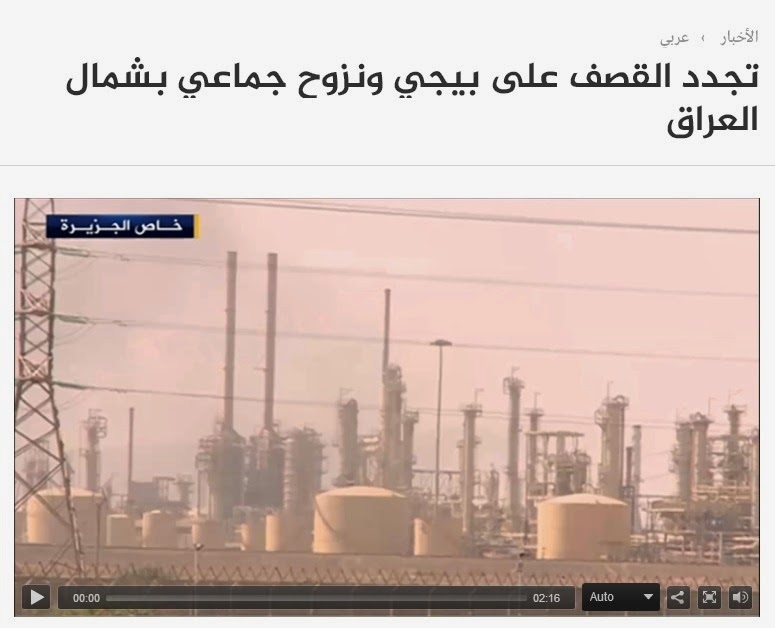 According to an official Iraqi source quoted by CNN, 60% of the refinery should be under control of ISIS, while relatives of the refinery staff told Al-Jazeera it was about 75%. Iraq is known to possess the fourth largest natural resources of crude oil and is ranking among the most important exporters of oil and oil products in the world. Recent reports from different western and Chinese sources mentioned a nine-month-maximum of oil prices which was directly related to sectarian unrest in Iraq. fleeing into the Peshmerga territories. Editor's Note: The expression "Peshmerga" means "those looking into the eyes of death" and is referring to the army of Kurdish fighters who are experienced in guerrilla warfare. The Peshmerga are engaged in fighting ISIS north of Baghdad and are reportedly well-equipped with weapons of U.S. and Russian origin. Renewed fightings in Diyala, north-east of Baghdad, between armed militants and northern government forces passed by Muqdadiyah and Jalula as well. 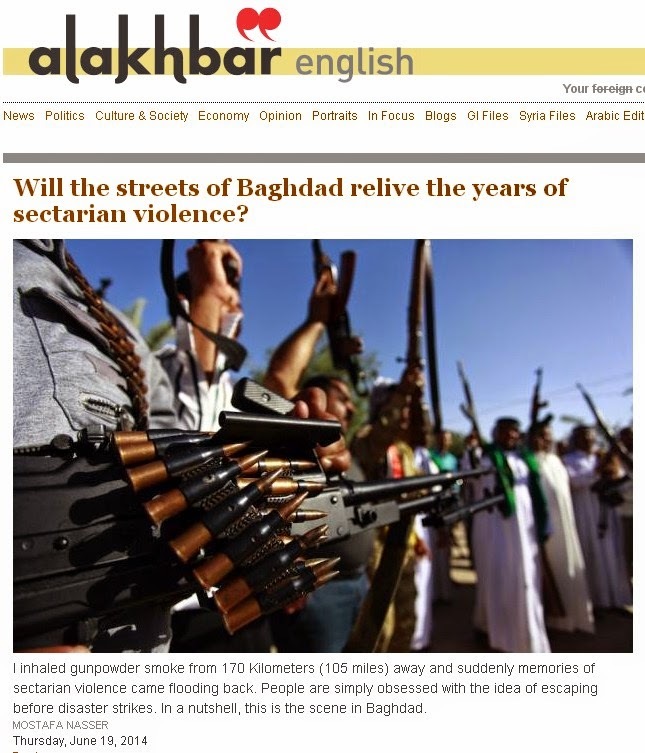 Editor's Note: Diyala is the name of an Iraqi province neighbouring Baghdad. Its center of administration is Baquba (بعقوبة). The town of Muqdadiyah / Miqdadiyah (298.000 inhabitants المقدادية) where fighting has passed lies about 80 km northeast of Baghdad and 30 km northeast of Baquba. Jalula (جلولاء) is a smaller town located on Diyala River. in the Iraqi crisis and were registered June 19-24, 2014. Al-Baghdadi - A New Bin Laden ? June 17, inserted further down. 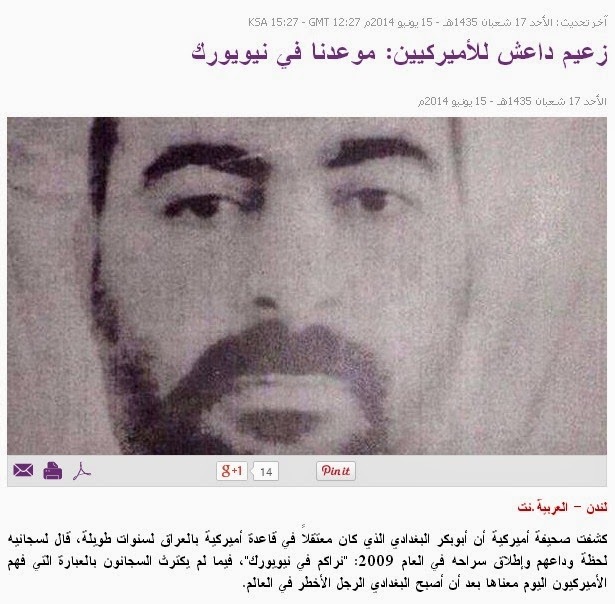 ISIS leader to the Americans: " See you in New York "
An American journal revealed that Abu Bakr al-Baghdadi, who was obviously detained for many years in a U.S. base in Iraq, had said [at some time of his detention] to his followers and [at the time of getting free] in 2009: "Let's join in New York", not caring for the wardens and with the remark [that this was] a significant day for the Americans when al-Baghdadi appeared, the most dangerous man in the world. Iraqi government forces are engaged in heavy clashes with Sunni Islamist militants, most of them ISIS fighters, who have made major advances in the past week. Government forces reportedly hit back with air strikes near Tal Afar in northern Iraq. The US is deploying up to 275 military personnel to protect staff at its huge embassy in the Iraqi capital of Baghdad. The prime minister of Iraq's autonomous Kurdish region has told the BBC he thinks Iraq may not stay together. He said it would be very hard for Iraq to return to the situation that existed before the Sunni militants, led by Islamic State in Iraq and the Levant (ISIS), took control of the northern cities of Mosul and Tikrit in a rapid advance last week, and Tal Afar on Monday. under temporary control of ISIS only some days ago. U.S. staff hastily evacuated, leaving much equipment and lots of secret documents behind. UPDATE for June 12/13 further down ! Yesterday, June 10, Islamic militants seized Iraq's second city of Mosul. Video footage from Mosul allegedly showed militants from an al-Qaeda offshoot, ISIS, driving through the streets. Iraq's prime minister has asked parliament to declare a state of emergency after Islamist militants effectively took control of Mosul and much of its province of Nineveh. Nouri Maliki said "vital areas" of the city had been seized; some 150,000 people are believed to have fled. The US has said ISIS threatens not just Iraq, but the entire region. State department spokeswoman Jen Psaki said the situation in Mosul, Iraq's second city, was "extremely serious" and that the US supported "a strong, co-ordinated response to push back against this aggression". The same day, security sources told BBC that fierce fighting had erupted between Iraqi forces and ISIS fighters in a town called Rashad near Kirkuk, south-east of Mosul. "Daesh" [i.e. ISIS] warns the inhabitants of Mosul to [denounce] its name and threatens to whip them. On Wednesday [i.e. June 11], a disturbing silence is dominating the town of Mosul, capital of Ninive province in Iraq, after the day of its fall into the murderous hands of the organization "Islamic Nation of Iraq and the Levant" [=> ISIL] and which, by means of loudspeakers, demands the return into service of government employees. Editor's Note: ISIL is also known as ISIS = "Islamic Nation of Iraq and Syria" due to an old expression including both meanings, that of "Levant" and "Syria". "Daesh" is the abbreviation for the organization's Arabic name. 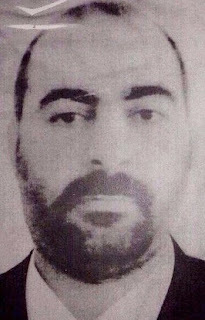 Abu Bakr al-Baghdadi is seen as the actual leader of ISIS. In 2010 he emerged as a local leader of al-Qaeda in Iraq, one of the groups that later became ISIS. Baghdadi is regarded as a battlefield commander and tactician, which analysts say makes ISIS more attractive to young jihadists rather than al-Qaeda, which is led by Ayman al-Zawahiri, an Islamic theologian. A British expert estimates that about 80% of Western fighters in Syria have joined the group. ISIS claims to have fighters from the UK, France, Germany and other European countries, as well as the US, the Arab world and the Caucasus. Unlike other rebel groups in Syria, ISIS is seen to be working towards an Islamic emirate that comprises Syria and Iraq. - In March 2013, it took over the Syrian city of Raqqa - the first provincial capital to fall under rebel control. - In January 2014, it capitalised on growing tension between Iraq's Sunni minority and Shia-led government by taking control of the predominantly Sunni city of Fallujah, in the western province of Anbar. - It also seized large sections of Ramadi, the provincial capital of Anbar, and has a presence in a number of towns near the Turkish and Syrian borders. The group has gained a reputation for brutal rule in the areas that it controls. However, it was its conquest of Mosul in June that sent shockwaves around the world. included here have been deliberately removed for legal reasons. being merely 56 miles away from the capital Baghdad. According to foreign media reports, the armed organization of Islamic extremists named "Islamic Nation of Iraq and Levant" (abbrev. ISIS) and which recently captured the Iraqi town of Mosul should have looted from the Central Bank gold bullions worth some 429 million U.S.$ (which is 500 billion Iraqi Dinar). The governor of Iraq's Ninive province confirmed that news. ... ... that's why ISIL, with one jump, became the world's richest terror force. Iraq's prime minister [acknowledged] : The fighting power of the local army is far from being their match. According to foreign media reports, the militants did not encounter any resistance when easily storming and capturing these cities and towns. Before Iraqi army and police arrived, they had already withdrawn. On [June] 11, in a regular televised address, Iraq's prime minister Maliki admitted: The fighting power of militants from the "Islamic Nation of Iraq and the Levant" and the local army "is not on the same level". 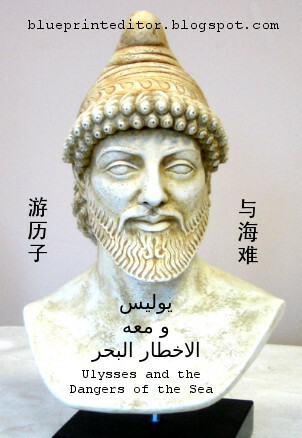 This time it's about the the southern part of the Paracel Islands [西沙群岛] and namely the maritime area of Triton Island [中建岛]. 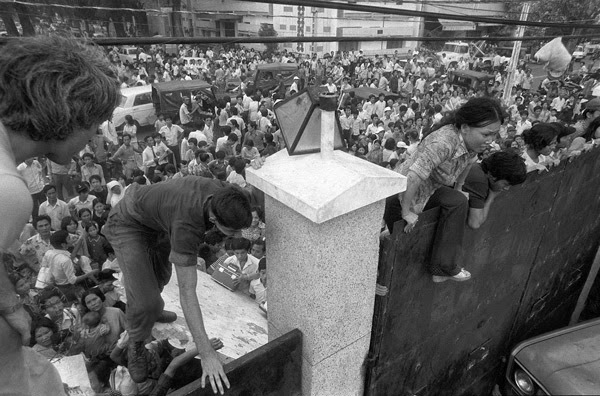 That area was subject of a short war in 1974 when the former republic of South Vietnam lost it to China. Some islands are still disputed because the Democratic Republic of Vietnam views itself as a legitimate follower of former U.S. satellite South Vietnam and has renewed old territorial claims. The Chinese side has voiced its position on cobalt mining platform "981", advising Vietnam not to provoke again. Today's subject on the website of [China's] ministry of foreign affairs is "the operation of cobalt mining platform 981: Vietnam's provocation and China's position". The foreign office states the Xisha Islands are China's long-standing territory which is far from any dispute whatsoever. 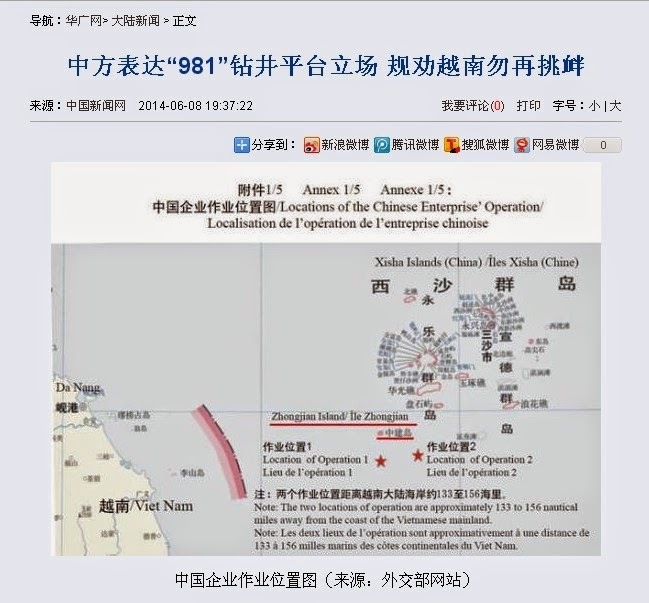 [However,] armed vessels embedded in [regular] shipping and dispatched by Vietnam are illegally forcing and disturbing the operation of China's cobalt mining platform 981. Furthermore, [Vietnam] is winking at its interior demonstration against travelling Chinese. The Chinese side is exercising utmost restraint towards provocative activity from the Vietnamese side, and China admonishes Vietnam to proceed from an overall [aspect] of upholding both countries' relations and stabilizing peace in the South [China] Sea, such mitigating a tense situation and restoring tranquility on the sea as soon as possible. Diaoyu-Island (Japanese: Senkaku) is disputed between China and Japan. are neither crude oil nor natural gas nor valuable minerals known in the area. The North Korean army wants to train "war experts for pitting one against 100". the crashing of large stone on the pit of the stomach. Kim Jong Uk to lifelong "reeducation through labour". Latest news on a North Korean spy story that began in February 2014 and ended a few days ago with a press conference in Pyongyang where the alleged culprit was presented. In February this year, on a meeting of journalists in Pyongyang, Kim Jong Uk said he suffered detention because of having illegally sneaked into North Korea in October last year. He admitted having carried out himself activities directed against the North and having accepted funds from South Korea's intelligence bureau. The South Korean side considers Kim Jong Uk as a South Korean citizen engaged in religious activity but not what the North is calling "a criminal opposing the nation". [According to the South] he has no relation with South Korea's national intelligence bureau, and the North is requested to set him free as soon as possible. Today, June 6, CNN reported the detention of a U.S. citizen, Jeffrey Edward Fowle who arrived as a tourist in North Korea on April 29. The CNN report is referring to the Korean Central News Agency KCNA in Pyongyang. Fowle was part of a tour group and was detained in mid-May after allegedly leaving a Bible in a hotel where he had been staying. North Korea is also holding Kenneth Bae, a Korean-American missionary who was sentenced to 15 years hard labor in 2013 by a court that said he carried out acts aimed at bringing down the regime of leader Kim Jong Un. A third U.S. citizen in North Korean custody might be mentally disturbed as he is reported to have torn his tourist visa and shouted he would seek asylum. As to religious activity in North Korea, there are a number of state-controlled churches. However, the regime forbids independent religious activities, holding them as a potential threat to its authorities. Russian official says the volume of trade between Russia and North Korea is planned to increase ten times by means of joining railroads between [both countries]. The Chinese article is quoting Russia's minister for the development of the Far East as saying that a joint commission of both governments, charged with cooperation in the fields of economy and trade as well as science and technology, has concluded in its [recent] meeting to increase the volume of trade to probably one billion U.S.$. This would come up to a ten times' increase of the actual trade volume [which is 112 million $]. Most of the troops died when engaging with tribesmen in Falluja. Medical sources in the town of Falluja, west of Baghdad, are saying that 15 died in an attack launched by government troops on the town since morning. At that time, so inhabitants confirmed, armed tribesmen resisted the army.